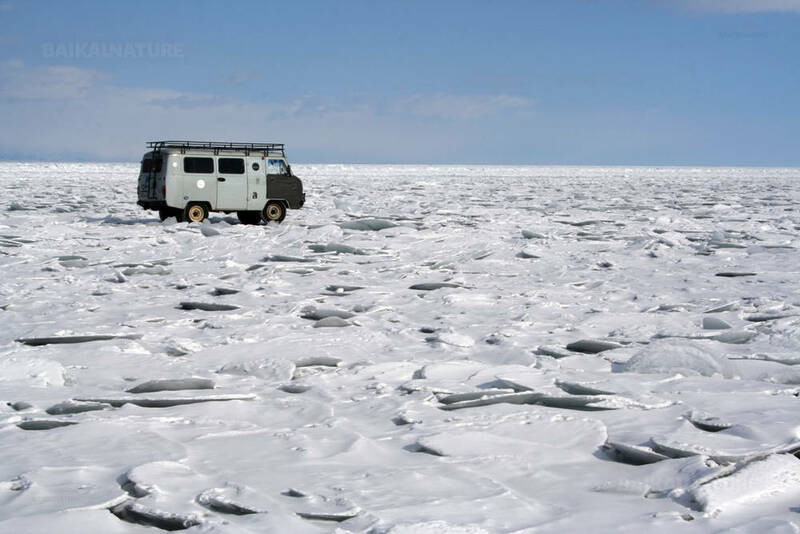 Overnight in the pre-prepared tent camp in the centre of Lake Baikal - "BaikalNature Ice Camp"
Once you have made a decision to go for a travel to Lake Baikal, you have thought a great deal about places to visit. We have elaborated for you the unique tour that allows trying and seeing everything! You will see all types of landscape, all essential landmarks and all types of the Baikal ice: snowy fields, unlimited polished ice rinks, ice hummocks, ice coves and others. The total distance of the itinerary is more than 2000 km! For understanding the immensity of this tour, just take a look at the map! 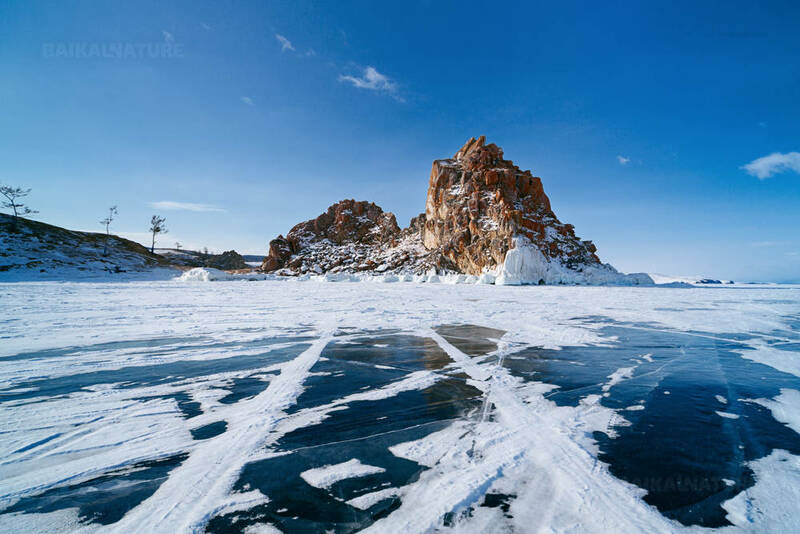 Symbolically the first meeting with Baikal will be held in the southernmost point of Lake Baikal and the tour will end in the northernmost part near the stele “Northern Baikal”. When you will go on ice for the first time in the south part of the lake, you will get acquaintance with the Circum-Baikal railway. Moreover, you will pass by the Angara source by hovercraft. During this tour you will cross Lake Baikal twice. The first crossing will be in the deepest and widest central part of lake on the crystal ice fields. 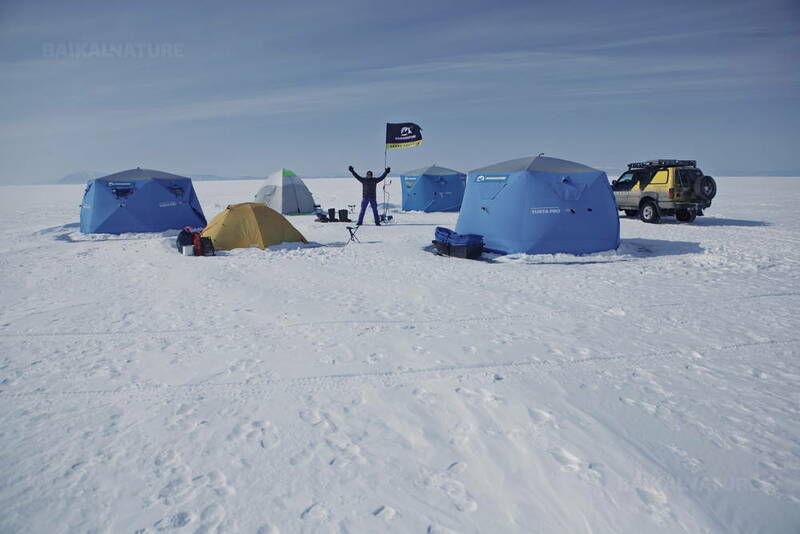 You will stay overnight in the BaikalNature Ice Camp in the geographical center of the lake. In the camp the unique activities are proposed: you can skate on the natural ice rink, to play ice hockey or to have a rest in Ice Bar. For those who want we propose to take Russian banya (sauna) and to dive in an ice hole. 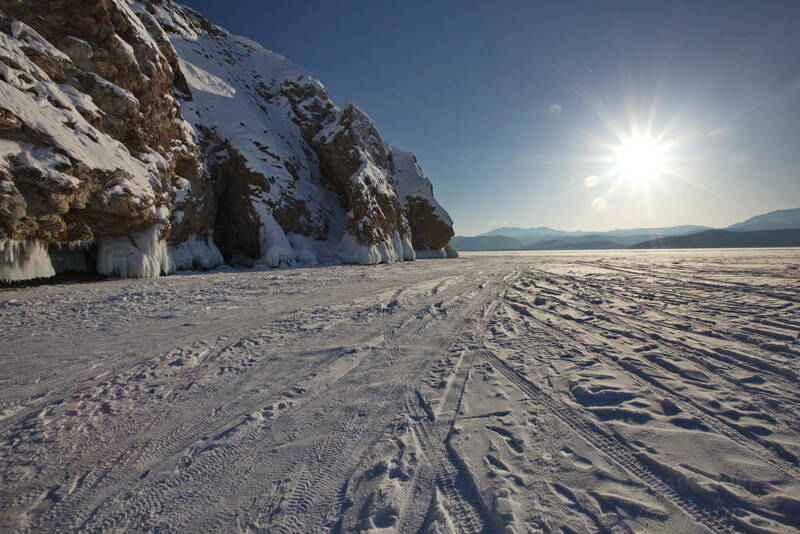 The second crossing will be in the north of Lake Baikal – the most under populated and hard-to-get part of the lake. 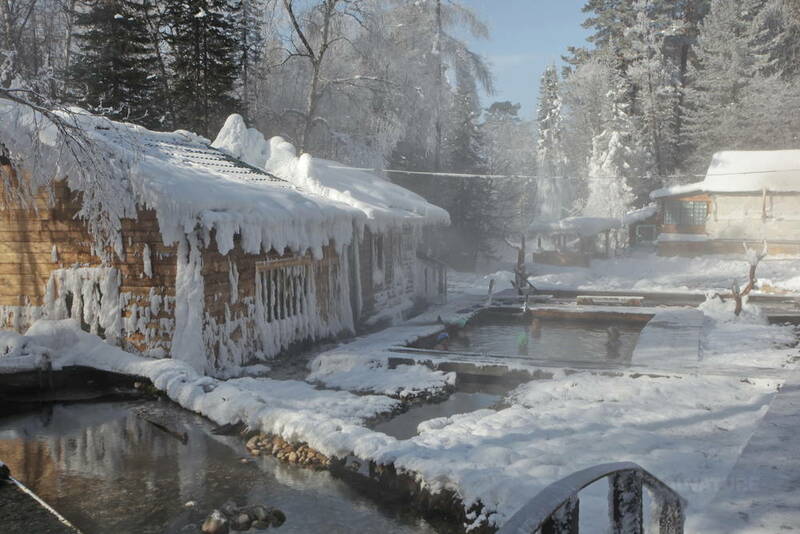 The special part of the tour is the rest in the Baikal corner of paradise far away from civilization – Khakoussy hot springs. Besides that you will visit the symbolic places: Listvyanka village, Peschanaya bay, Olkhon island, Barguzinskiy and Chivikuysky golfs, Khakussy hot springs, Severobaykalsk city. In the end of the tour you will go on train by the Baikal–Amur Mainline (BAM) – one of the biggest railway lines all over the world. After this tour, you will be able to say that you know the winter Baikal! 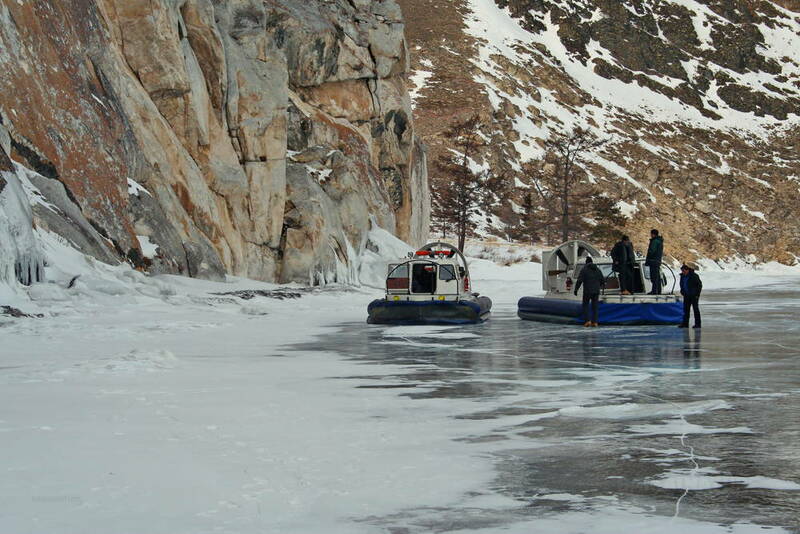 We start our itinerary by hovercraft on the frozen lake Baikal. We go along the Circum-Baikal Railway, unique monument of engineering art of the end of 19th century. On the way several stops are provided in the most interesting and beautiful places. Passing by the Angara river source you can see the Shaman rock that is considered the natural monument. Transfer to the hotel and accommodation. Rest. This day you can stroll the Baikal coast or just have a rest in the homestay. For those who want we propose some optional excursions: - "Taiga Hunter" (The walking excursion accompanied by the experienced hunter. On special snow shoes you will go deep to the snowy taiga for getting acquaintance with animals and birds of the region and trying to distinguish their spoors. The total duration of the excursion about 5-7 hours). - "Dancing divinity" (The 2nd May of 2005, the image of the Saint Yanjima was appeared on the big bowlder near the Datsan of Barguzin in the siberian tayga. Now, this place became the pilgrimage destination of the faithful and tourists. The approximate duration is 6-7 hours). *For those who will go to excursion that day we propose lunch boxes. After the breakfast, we start our road to Khakussy. We go along the eastern coast of the lake to the north by the ice road. Firstly, we will cross the Chivykuysky Gulf. if the weather and the ice situation allow, we will visit the Zmeinaya bay for bathing in the hot springs. En route we will make a stop for the lunch with hot tea. The north-est coast of lake Baikal isn't populated and you will see only winter cabins for park rangers. There are no tourists and the access to these area is more accessible in summer during the navigation period. Accommodation at the resort. Rest. We will go to the northernmost city of the lake Baikal - Severobaykalsk. You will cross the lake once again - from the est to the west in its north part. 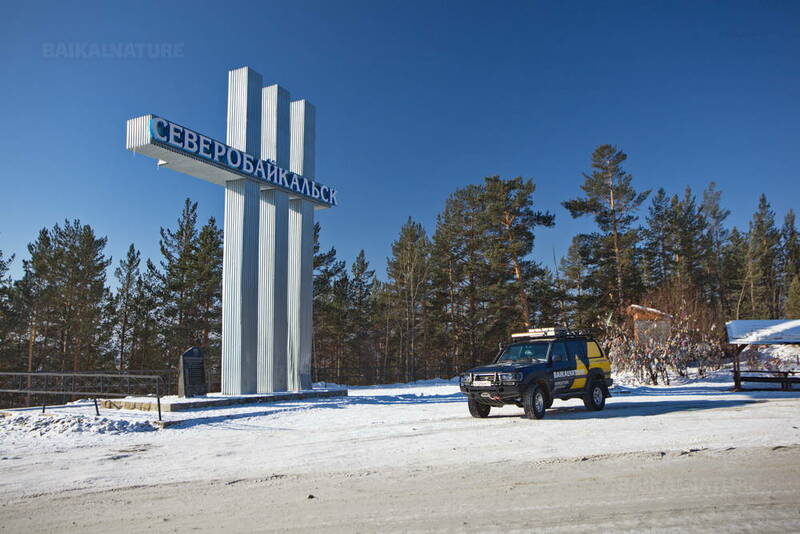 En route we will visit the stele "North Baikal" situated on the lake's coast. 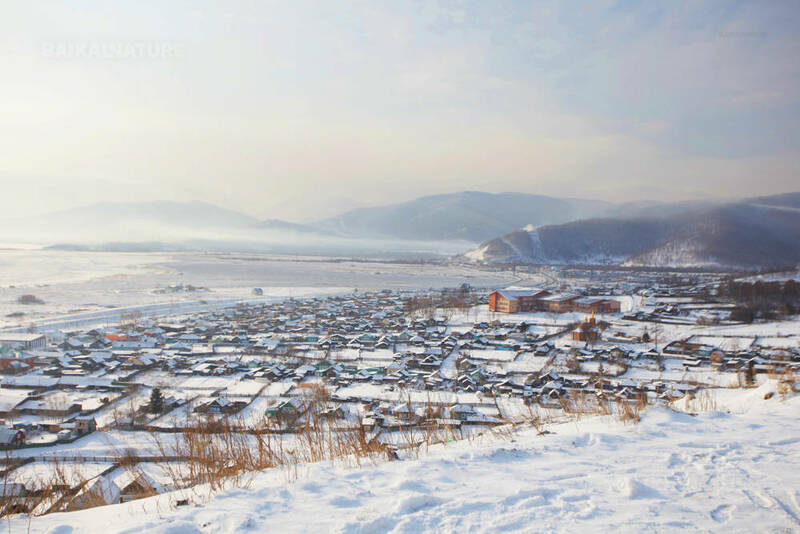 The Severobaykalsk city is situated in the valley surrounded by the Baikal Mountains. 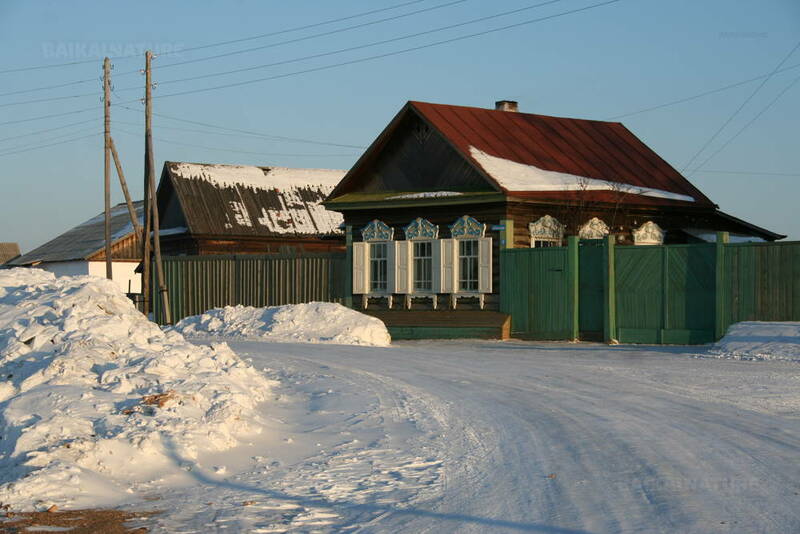 The city's foundation and the developping of the north baikal territory is related to the construction of the BAM (Baikal–Amur Mainline). You have possibility to stroll, to have a rest and to buy all you need for the train. As option, we propose the bathing in the hot springs "Goudzhekit". The thermal waters are located in the floodplains of Goudzhekit and come out of the ground at a temperature of 50°C. The waters of the hot springs are well known for their rich composition of silicic acids and alkalis properties. Our itinerary passes by the the popular BAM mainline (Baikal-Amur Mainline), one of the biggest railroad in the world. 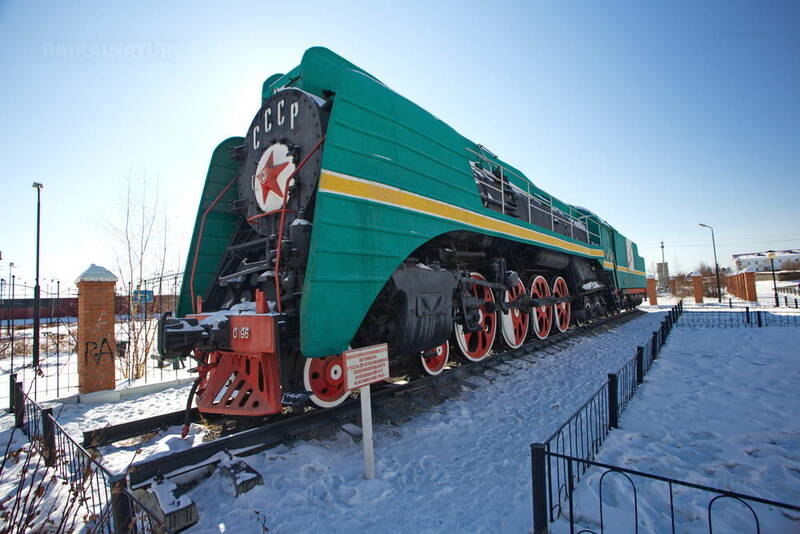 Its construction began in 1938 and goes through the country for 4287km. The BAM mainline crosses the path of the legendary Transsiberian railroad before the two part from each other in Tayshet. This mainline was mainly built by prisoners from the labour camps, then, by volunteers. 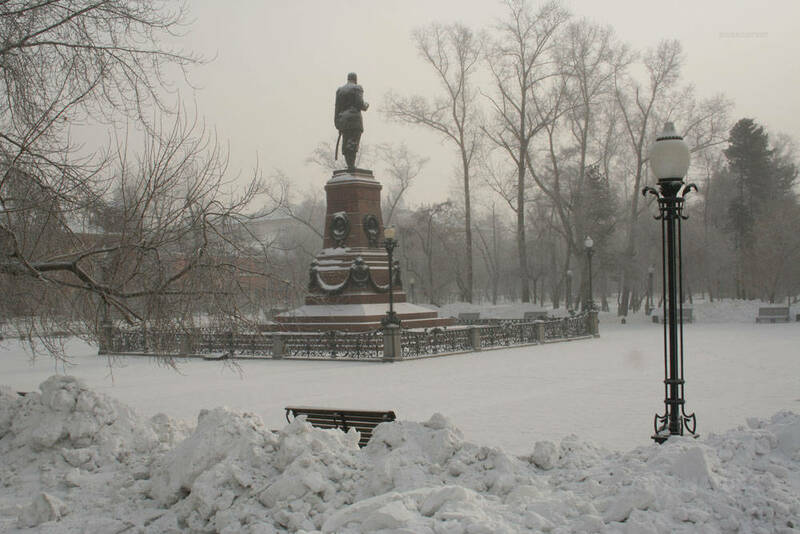 This is an opportunity for you to see with your own eyes a part of Russia’s History. End of the programme. 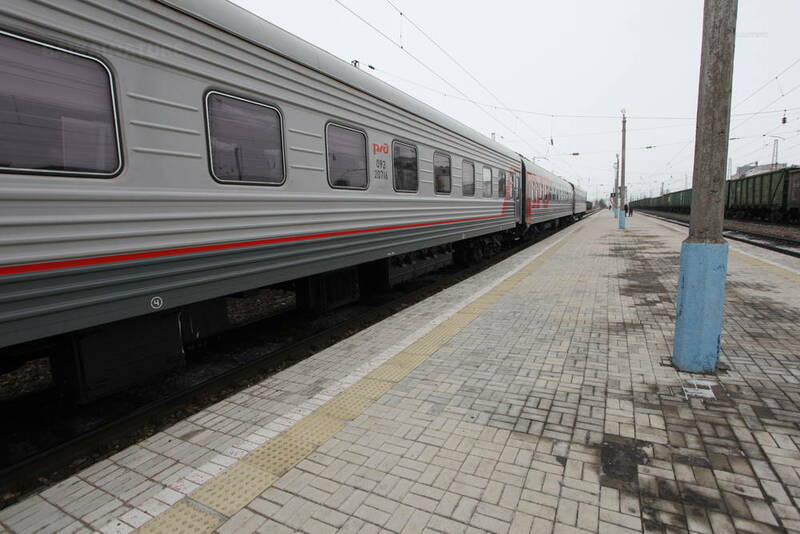 *The supplement transfer from the railway station to airport/hotel - 1600 roubles. You can book the optional excursions in advance or on site with payment in cash. Single supplement (except an overnight in Baikal Ice Camp) - 13 500 roubles.